Another smaller than normal crowd (perhaps a product of the impending storm) was on hand for one of the more controversial finishes in Thunder Road history.....and that could only come in one of the highest profile events of the season. 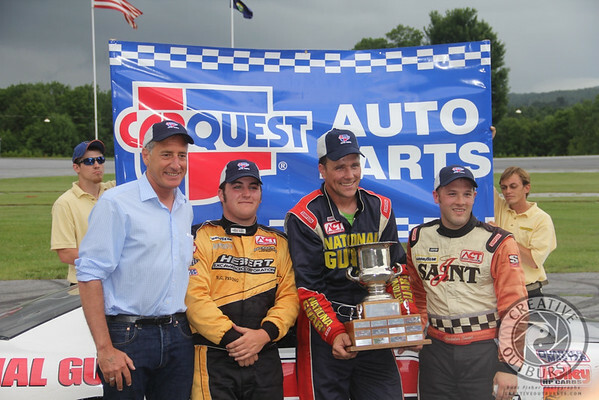 As Vermont Governor Peter Shumlin waited to present the trophy to the winner of the Late Model Series Feature Event, three cars spun in front of the field in turns three and four. The flagman grabbed the Yellow Flag...the pace car started to move in the infield.....the announcer yelled about "Caution on the speedway".....and leader Nick Sweet's spotter shouted "Yellow!!" (or something to that effect). Sweet, holding a straightaway lead and on his way to an almost definite win with just 15 laps left slowed. 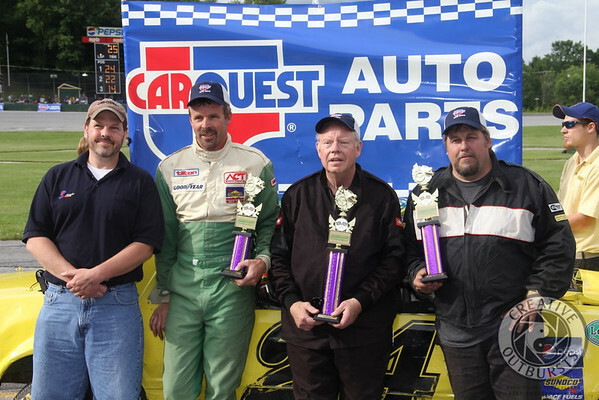 Over half of the field also slowed.....but second place driver John Donahue never lifted. Turns out, the race went to Caution.....the spinning cars remained moving and were off the racing surface before the leaders got there. Everyone KNEW the yellow was coming.....but it didn't. And that cost Nick Sweet a huge win! Amidst the chaos Donahue drove around Sweet and led the way until the end. Somehow Sweet was able to gather himself and come home in second place. 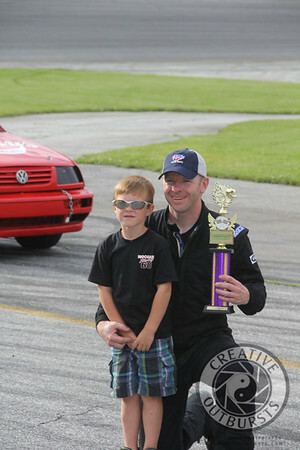 Rookie contender Jimmy Hebert grabbed his first podium finish, making a late move past polesitter Scott Payea. Although Donahue was met with a resounding chorus of boos (and worse) as he climbed from his car in Victory Lane, he did absolutely nothing wrong. As he said "I saw green....and green means go!" This was just a case of bad luck for Sweet....and great fortune for Donahue as he continues an incredible year!! awarded his 21st career win. Blais moved up to 2nd and Garry Bashaw picked up the 3rd place trophy. Got all of the action except the Sportsman Tiger Feature in....that will run Thursday. Click here for my full gallery (791 shots) from this event!